Ninian North platform is the second decommissioning project which CNR International UK Limited (CNRI) has undertaken and the project team achieved a major milestone in late April 2018 by permanently down-manning the platform. 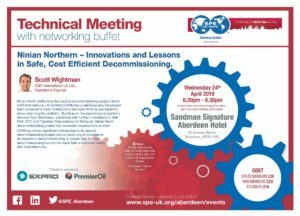 Building on the experience of platform removal from Murchison, combined with further innovations in Well P&A, EDC and Topsides Preparations for Removal, Ninian North decommissioning project has exceeded expectations to date. CNRI has driven significant efficiencies in its second decommissioning project and is continuing to innovate in all aspects of decommissioning to ensure that the right decommissioning solution for each field is achieved safely and cost effectively. 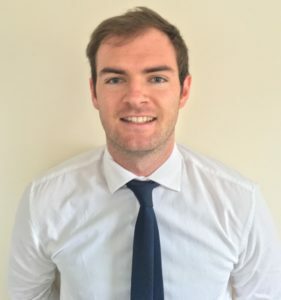 Scott joined CNR International UK Limited (CNRI) in 2015 after completing his Master’s degree in Electrical and Mechanical Engineering at The University of Strathclyde. Since joining CNRI, Scott has completed a number of key roles, both onshore and offshore, within the project team focussed on delivering the decommissioning of Murchison and Ninian North platforms. Scott’s main focus on Ninian North was the planning and execution of the topside facility Engineering, Down and Clean (EDC) and, latterly, he led the structural preparation for removal phase which was carried out from the manned platform. Offshore roles include Operations Advisor during the Murchison topside removals campaign in 2016 and Offshore Facilities Engineer on Ninian North throughout the topside EDC process.